1. The Modern Lovers. Boston’s seminal proto-punk combo launched the careers of Jonathan Richman, Talking Heads’ Jerry Harrison and Cars drummer David Robinson. It also fueled Fox Pass’ sound. To my knowledge, this is the last-ever high-volume rock performance by the Modern Lovers founder, who had already dissolved his original band in February 1974 to focus on the softer, acoustic sound he’s pursued ever since. 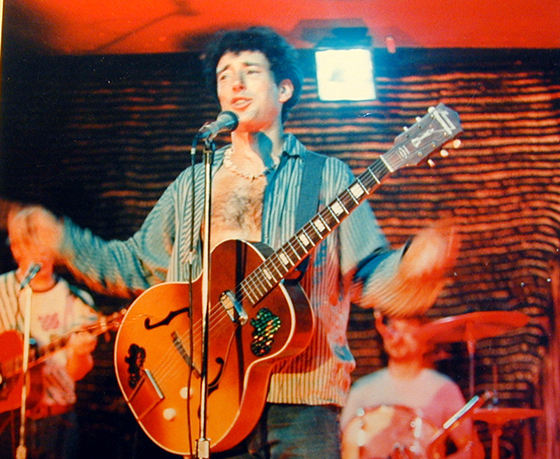 Jonathan Richman and Fox Pass perform Gloria at The Club, 1975: Listen now! 2. Talking Heads. 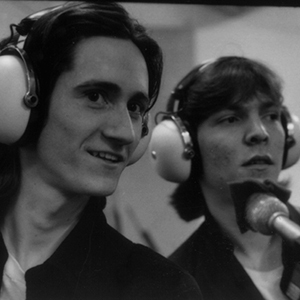 Speaking of the Modern Lovers, keyboardist Harrison’s career arc brought him from Milwaukee (where he would return to produce bands including the Violent Femmes and BoDeans); to Boston (where he would meet Jonathan Richman as an architecture student at Harvard); to Talking Heads (a group of Rhode Island School of Design students who had joined the CBGB scene in New York). Talking Heads would play repeatedly with Fox Pass in Boston — in fact, Macey said, it was Fox Pass that first brought the original three-piece Talking Heads (with David Byrne, Chris Frantz and Tina Weymouth) up to the city as openers. 3. The Cars. Another strand of connective tissue between Fox Pass and the Modern Lovers: Fox Pass played often with Cap’n Swing, a precursor to the Cars founded by vocalist/guitarist Ric Ocasek and vocalist Benjamin Orr. (Ocasek’s and Orr’s previous project, another Fox Pass opener called Richard and the Rabbits, was named by Modern Lover Jonathan Richman.) The duo would eventually trade in their rhythm section; Orr would move to bass, and ex-Modern Lover David Robinson would take over drums (and rename Cap’n Swing “the Cars”). Coincidentally, Roxy Music’s performance that night has become a hot item online; perhaps Fox Pass’ set will surface as well.